The team at Derm One offers comprehensive medical, surgical and cosmetic skin care to the residents of southern Virginia and West Virginia. We treat all skin conditions in patients of every age. Our staff aim to make your visit as easy and comfortable as possible. 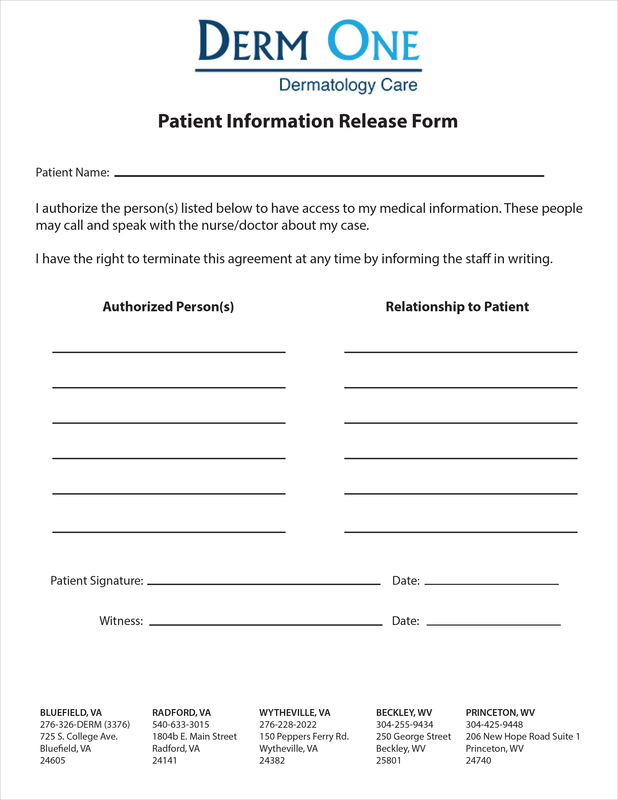 All new patients should print and complete the Patient Information Release, New Patient Information, Patient Responsibility, and Medical History forms available at the links below. 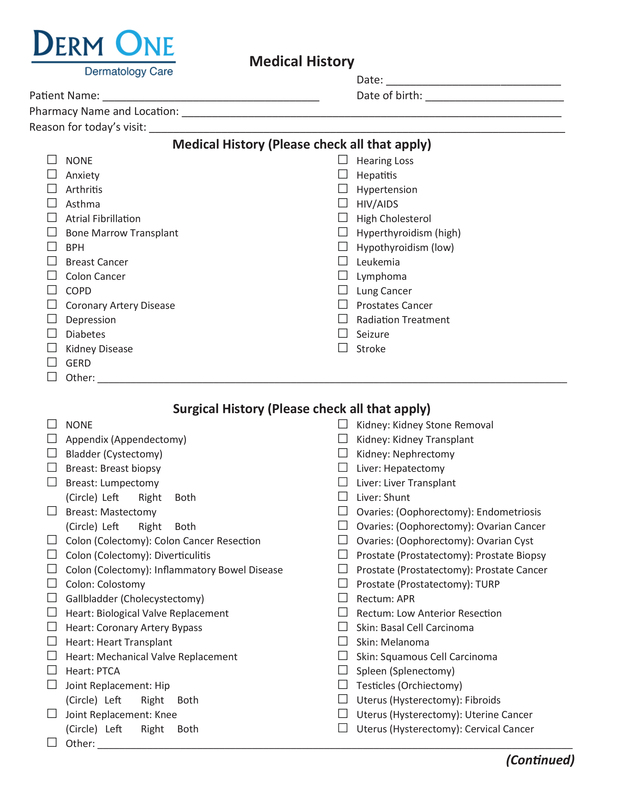 Bring the completed forms to your first appointment. 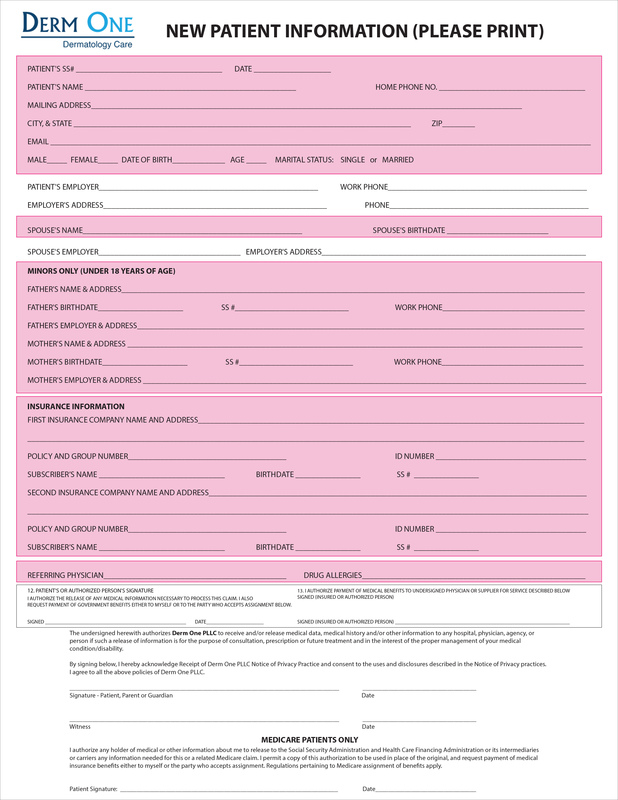 Don’t forget to arrive 15 minutes prior to your scheduled appointment time, please bring a photo ID and insurance cards. 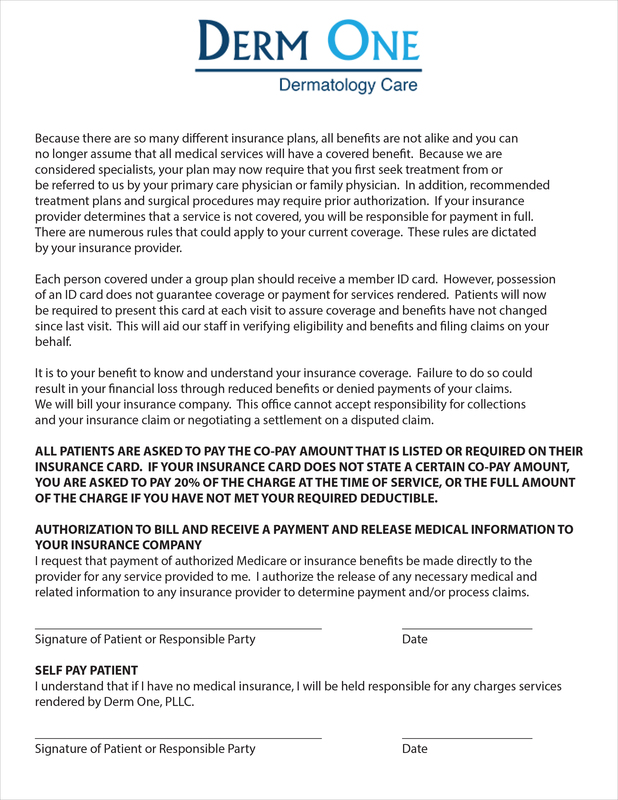 Please be prepared to pay your co-pay at the time of your appointment. 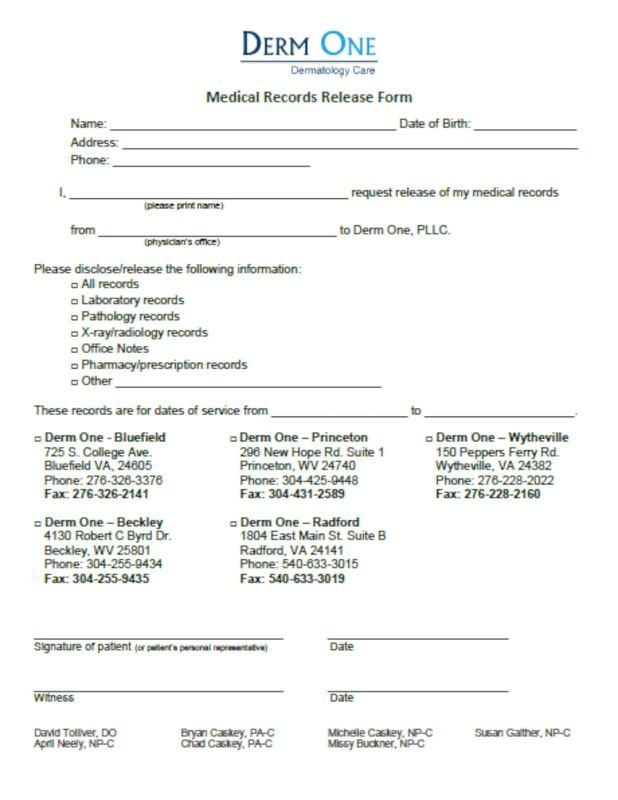 Please print and complete the Medical Record Release Form if you would like for us to be able to obtain your records (office notes, test results, medications, etc.) from other physicians offices.